The daughter’s bedroom in a Kerala bungalow needed designing, and the client reached out to Mohammed Afnan and Arun Shekar of Humming Tree. The duo were more than happy to take up the job of envisioning a room for a single occupant. “Afnan and I were always fascinated and captivated by dark passages and spaces. 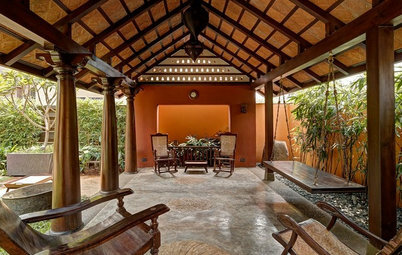 Once, while working on coastal area projects, our client called us to take a look at his huge home at Kannur, Kerala. When we visited the house, he requested us to design his daughter’s bedroom as a quiet, reclusive space. 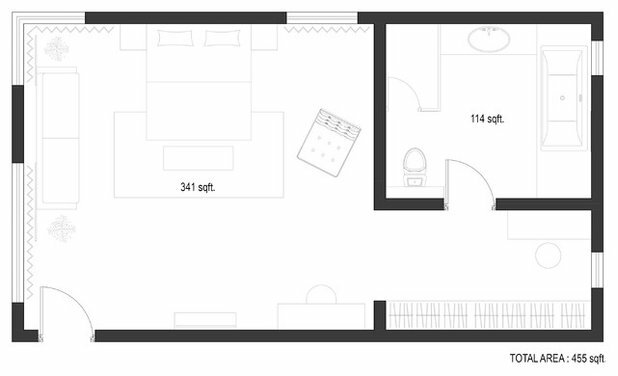 We were awestruck by the double-height bedroom with a 13-foot-high ceiling, the volume and space, and the walk-in closet. All we could think was, ‘Oh my God!’,” says Shekar. 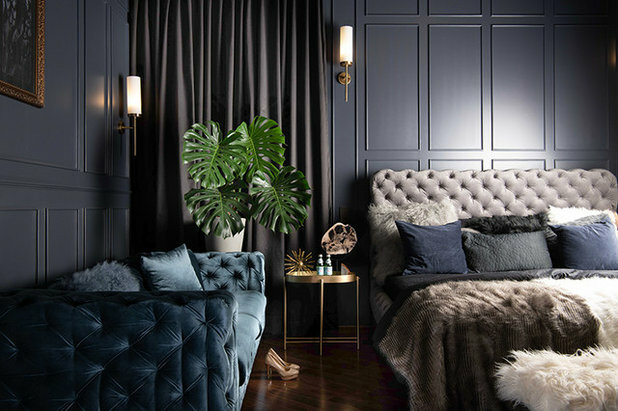 The bedroom is enveloped in dark tones and luscious fabrics. 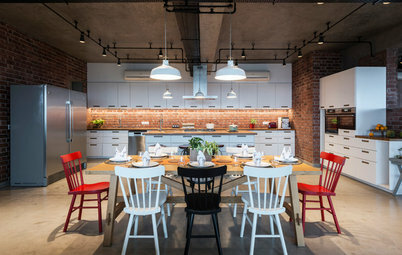 Wooden and chequered tile flooring, wall panelling, luxe lighting pieces and intriguing decor accessories fill up the space. The deep colours create a quiet and pensive environment. “Given the verity that the bedroom is a personal space used for relaxing, the colours associated with its interior are usually pastels, neutrals and soft shades. We wanted to create something completely different – a striking bedroom decor with intimidating colours. It’s uncommon to see a dark bedroom but we still made it a pleasant space,” Afnan says. 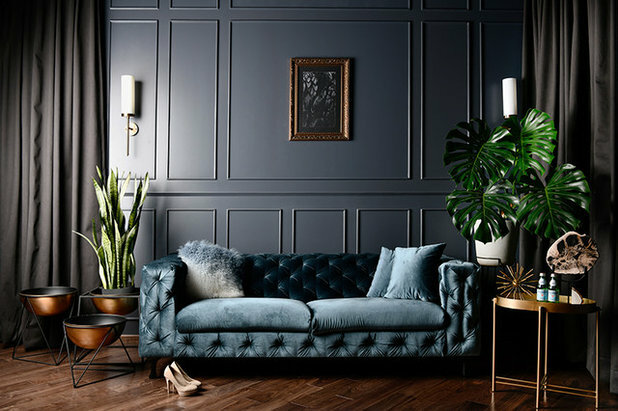 The royal-blue velvet sofa offers space to lounge around in. 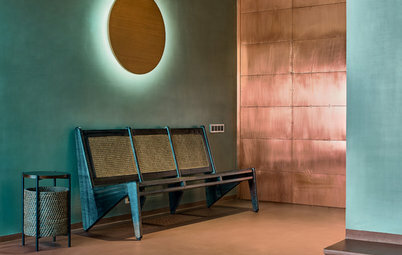 The brass-legged bedside table, which was sourced online, adds glimmering lights to the area. 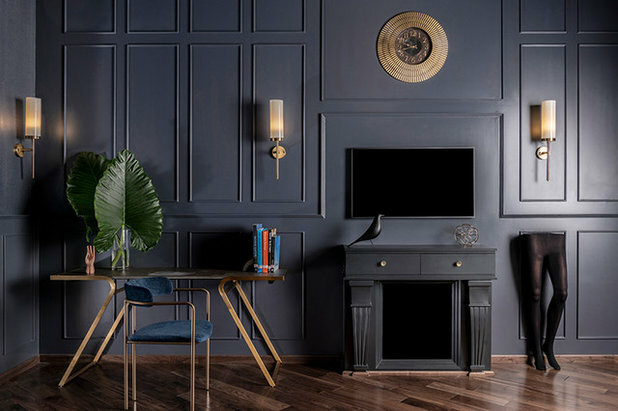 “The walls are furnished with a matte Russian Blue Black Flame paint – a gorgeous blend of navy and black that focuses the limelight on the decor,” Shekar says. The comfortable bed is an inviting space, enriched with plenty of cushions and throws. 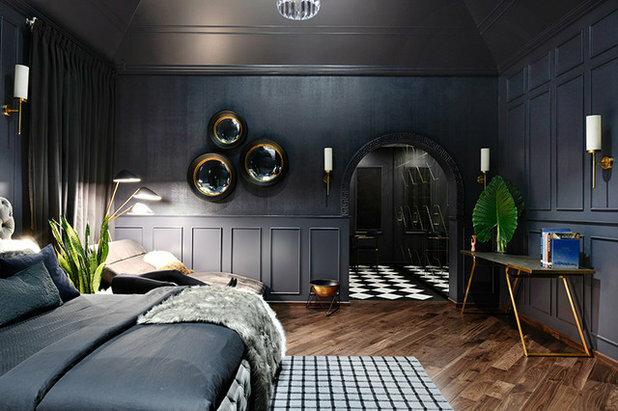 “A well-designed bedroom can be very relaxing and comfortable even if decorated in black. 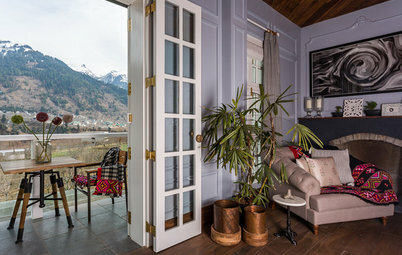 This one, for example, looks like a surreptitious hideaway. 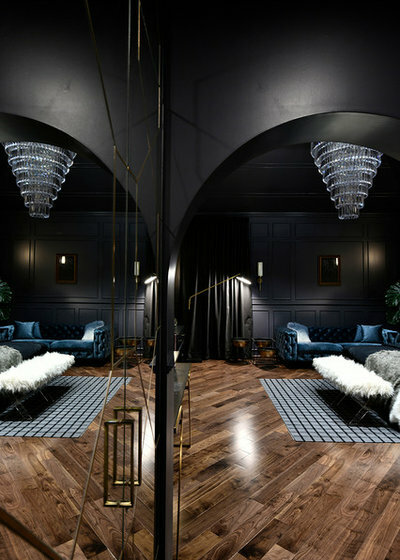 The space has a lot of depth, not only because of the dark walls and furniture but also due to the grey rugs, bedding and fur,” Afnan says. The mirror-fronted cabinets in the bedroom make the space look larger and brighter. 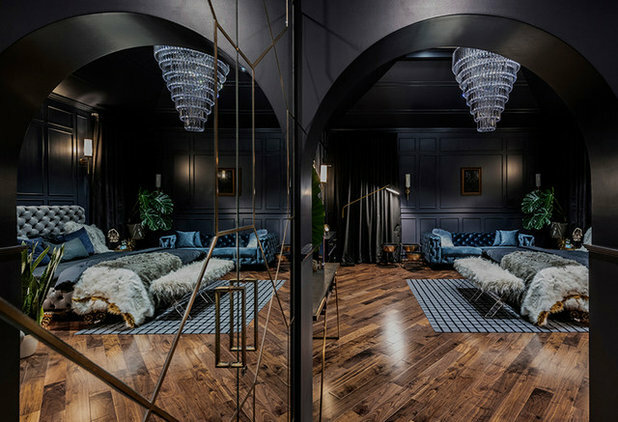 The mirrors reflect a room that is like a luxurious cave, with a grand crystal chandelier above the bed, graceful ambient light fixtures, a fine area rug, and a bed draped in rich, dark fabrics. 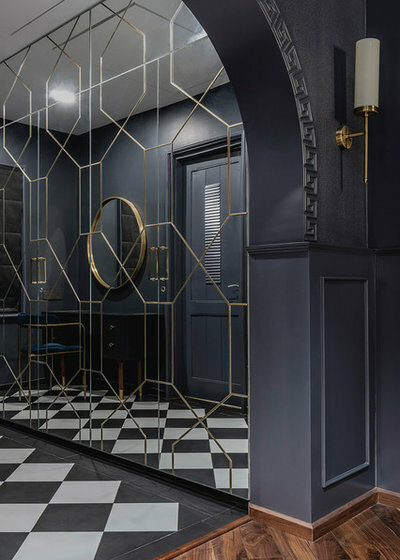 The chequered flooring and the patterns on the mirror give this walk-in closet a dynamic energy. 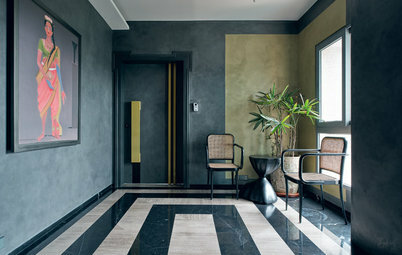 “We had a colour palette fixed for every space, which followed a Goth look,” says Shekar. 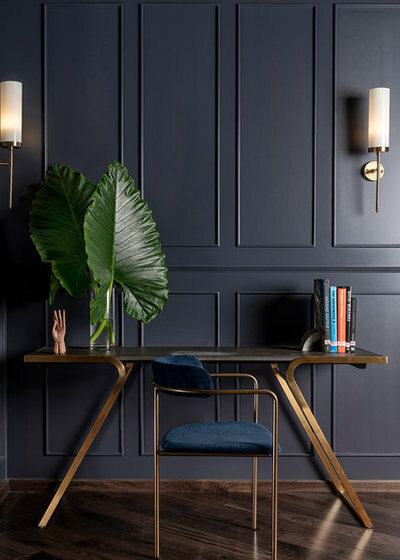 The writing desk and chair finished in brass, the wall panelling and the diagonally set wooden plank flooring, all spell elegance. “We incorporated a full complement of technology, but kept it hidden. 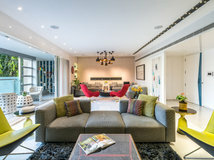 In the imitation fireplace, for example, a secret panel opens to reveal the cords for the flat-screen TV; a gesture that signifies that one can always embrace technology, but it shouldn’t overtake one’s space,” Afnan says. 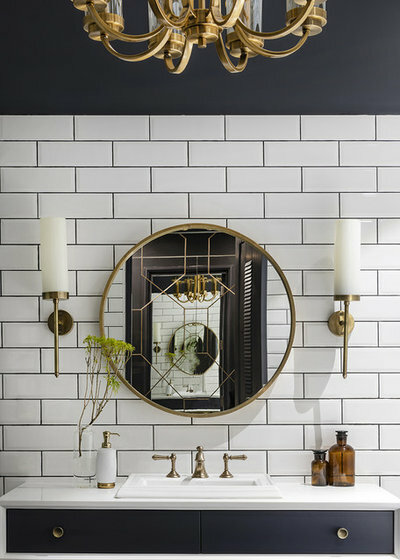 The large bathroom fitted with a custom tub and subway tiles follows a monotone scheme, where custom wall-mounted brass handle lights and a large chandelier take centre stage. 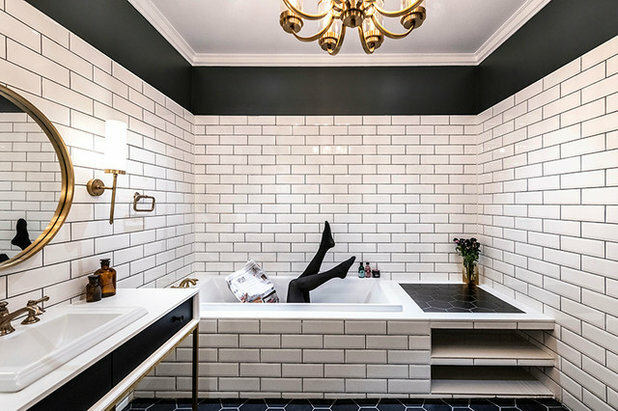 Can’t choose between a tub and a shower? 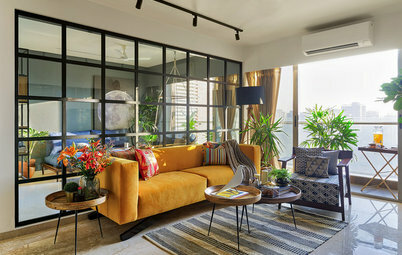 “Every corner of the room is dramatic and has a feel of its own; it’s hard to say which area really pops up. 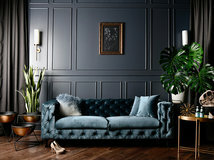 But we definitely love the couch accentuated by the beautiful black feather-art picture above it, the most. 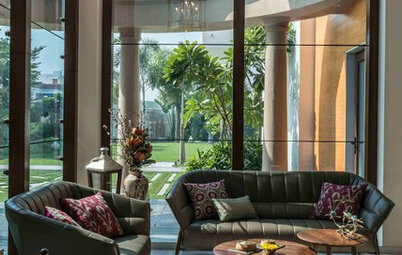 Although we chose a sombre backdrop for the room, it allowed the beautiful light fixtures and the wonderful vase collection in the room to shine through brilliantly,” Shekar says. What did you like most about this room and why? Tell us in Comments below.